All pieces are hand fabricated. The texture of the metal is created in a couple of ways; a) using a torch to create surface patterns, and b) using a rolling mill to roll patterns into the metal. Next, several sheets of this textured sterling silver are join together using a technique called fusing - (metal joined together using a torch at high temperatures without solder). 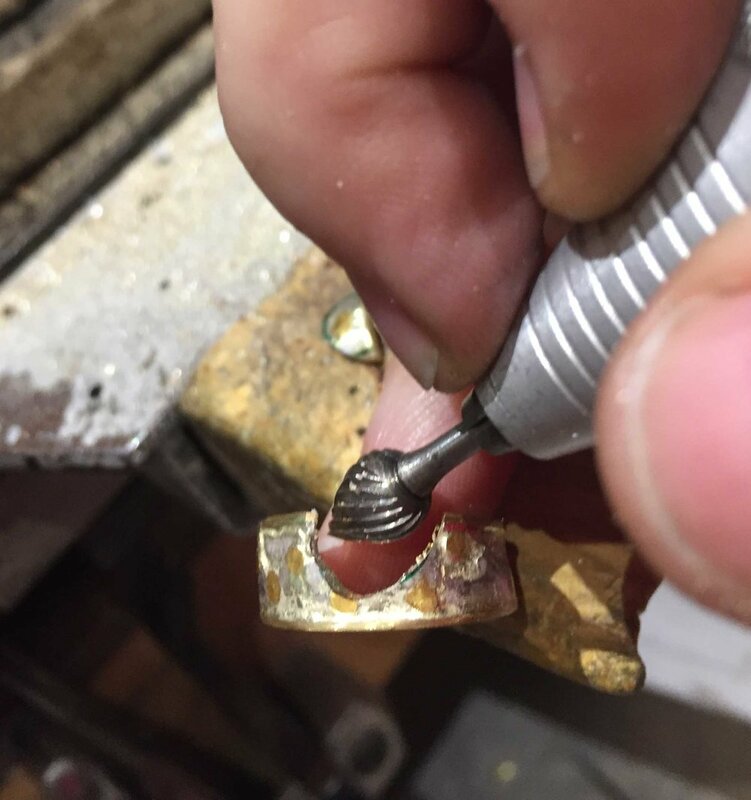 Each ring is created by cutting out a section from the multiple layered sheet of fused sterling silver or high karat (22kt and 18kt) gold. 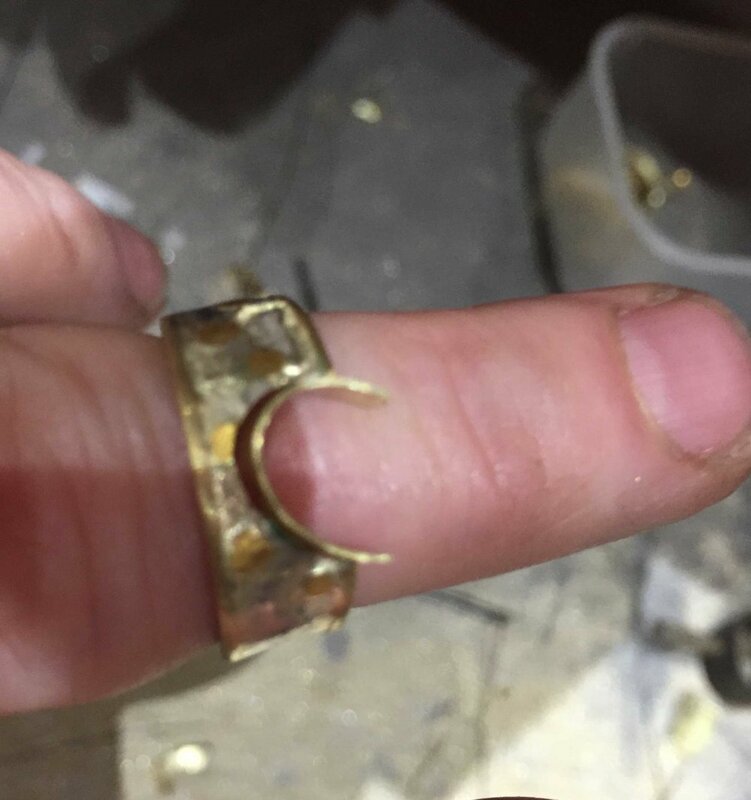 24kt gold is fused to the front and back surface of the ring further adding to its uniqueness. Then a strip of 22 karat gold matching the width and length of the silver is fused onto the back of the silver giving a more sensuous feel to the skin and creating a more durable ring. Next, 18k pale yellow gold frames are soldered to the top and bottom edges of the ring following its contour. The ring is then polished and put into a solution to darken the silver. It is polished again to highlight some of the ridges in the silver. This surface patina will change according to the wearers skin chemistry and these natural skin oils will give the ring a unique luster. All of the rings can be sized. After sizing the ring it will revert to a white silver color (the natural color of silver). The polishing stages are repeated. 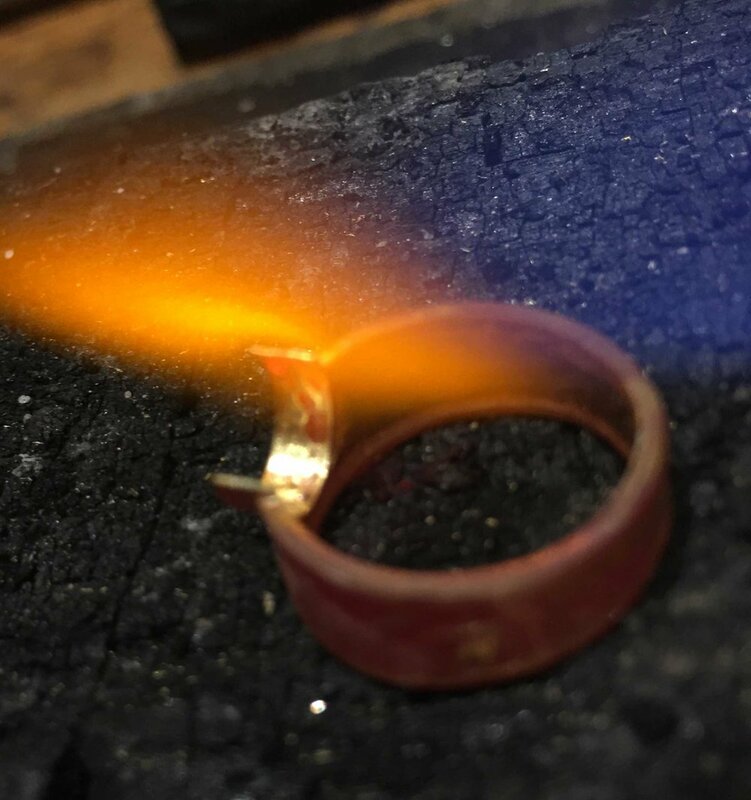 Because the luster of a ring is created by the wearer, it is lost when the ring is heated and will only be regained by wearing the ring. 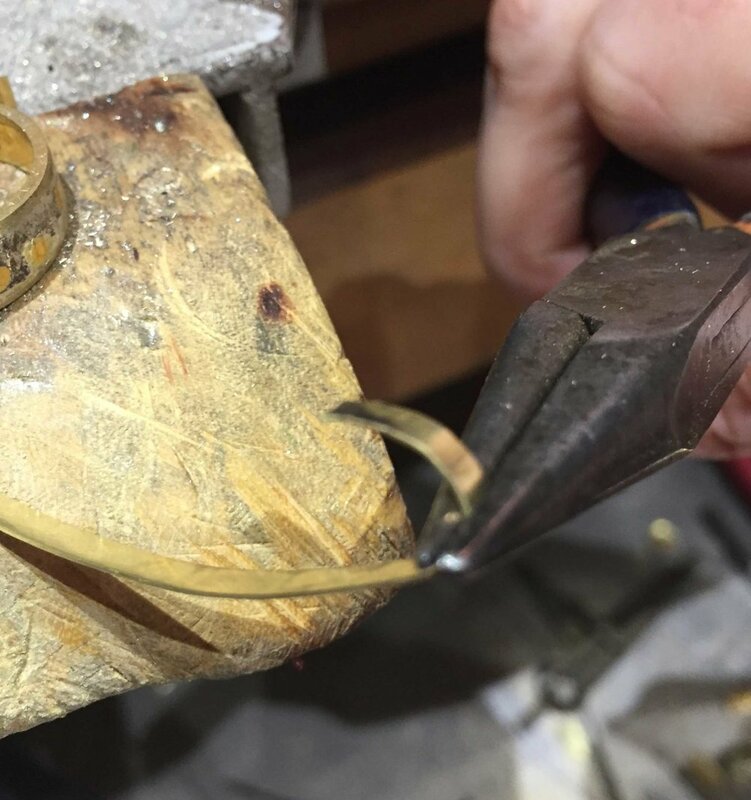 Each bracelet is created by cutting out a section from the multiple layered sheet of fused sterling silver or high karat (22kt and 18kt) gold. 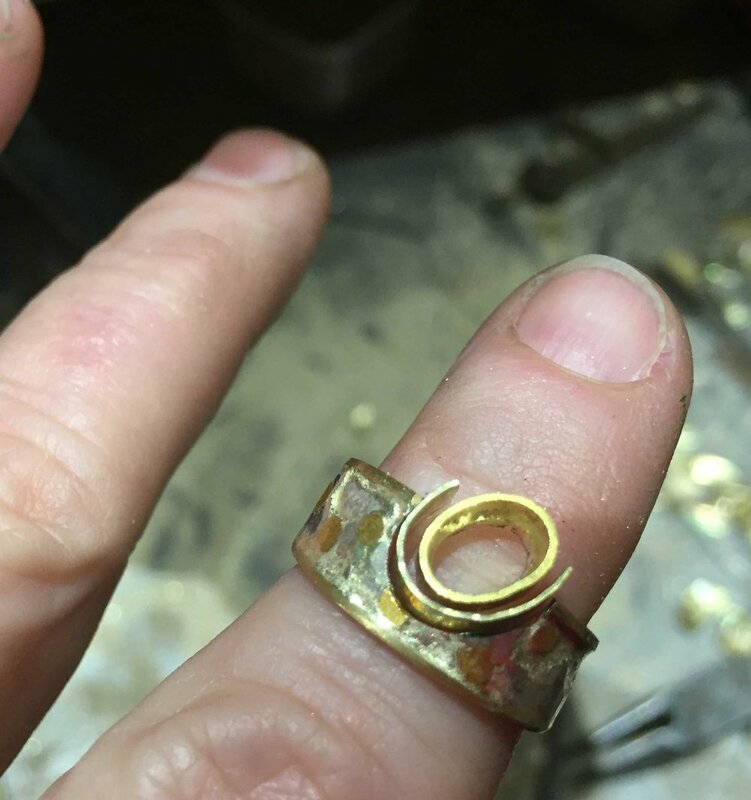 24kt gold is fused to the front and back surface of the ring further adding to its uniqueness. Next, 18k pale yellow gold frames are soldered to the top and bottom edges of the bracelet following its contour. The bracelet is then polished and put into a solution to darken the silver. It is polished again to highlight some of the ridges in the silver. This surface patina will change according to the wearers skin chemistry and these natural skin oils will give the bracelet a unique luster.